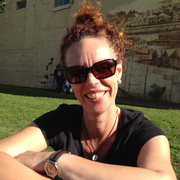 Dr. Ingrid van Putten is a scientist working with the ecosystems modelling team at the CSIRO Oceans and Atmosphere, in Hobart, Australia. She is also a member of the IMBER Scientific Steering Committee and Human Dimensions Working Groups. Her research focuses on the social and economic behavior modelling of interaction with the biophysical marine environment and on understanding coupled social-ecological systems. Because complexity in the bio-physical sphere is mirrored in social and economic systems, she focuses on the tools that effectively model social and economic data and aims to find the optimum level of complexity for human behavior models. Ingrid has used network analysis to model lease quota trade systems and Bayesian models to investigate non-economic drivers in indigenous fisheries. She has also applied qualitative models to investigate the drivers of participation in marine sectors in the context of climate change. Some of her work is focused on improving the management of coupled social-ecological systems and ensure their long-term viability. In the month we celebrate the international women's day, nothing better than listening to Dr. van Putten talking about not only socio-ecological marine systems, but also about the role of women in science. Enjoy it! 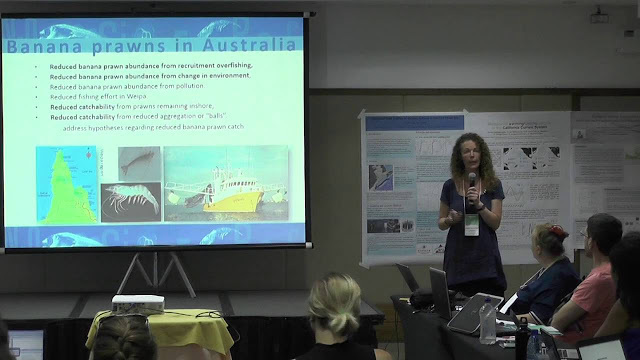 FEME: Can we reach sustainability in our socio-ecological marine systems? Ingrid: I think so. I hope so. I think, for all of us and our children and their children, we need to be sustainable and if there is a need there is a way, and I think that we will have to change our behavior to make it sustainable. And when the need increases the system can either fall apart or it can stay together and I think it will remain together to make the future possible, but we will need to change. FEME: How far will we need to go to realize we need this change? Ingrid: I think we are realizing it very slowly, but I think that your generation is already realizing it a lot more. In the next 20 years we will all need to make the change, otherwise there won’t be much to change. But I think it’s possible because your generation is so smart, they are learning about the vulnerability of the planet much earlier than previous generations did, so I think there is hope in the next generation. FEME: I agree, but I’m afraid that our generation is waiting for some sort of a magical solution or technology that will deal with all pollution, rebuild the oceans and things like that. Ingrid: I think technological solutions are important to some degree, but they won’t solve everything. I can see where you are coming from, it’s difficult, right? But I think if we don’t have hope we might as well give up. Even if sometimes we believe it is so hopeless, we need to change the way we speak about it, because you know, when you are sad about something you can talk yourself into being happy again. I think it is the same about the way we think about the future, if we always talk about it being broken and having no solution, then there is no solution. We need to start talking about the solutions, and technology is really important. I think that if we want to stop using fossil fuels, we can, we just need to find technologies and alternatives there are not destructive. But if we always say there are no alternatives then there are no alternatives. We need to be positive towards the future and believe that things are possible and then make them possible. That’s your responsibility. FEME: What motivated you to switch from more traditional economics to a more environmental approach? Ingrid: The traditional economics is really interesting, but I felt that I needed to broaden my view to be more about the behavior of groups of people that wasn’t so restrictive. I was in environmental economics, and then I started off switching to agriculture economics and then I went into environmental economics and then I went into behavioral economics. I felt that I wanted to better understand why we make irrational decisions about things, like climate change, and why we are making all these strange decisions. Economics can explain a lot of that but so can socio-psychology. I felt that to understand how we deal with climate change and overharvesting, and exploitation of the environment, we needed to understand better that there is a lot in that that is psychological. The solutions are actually a lot about socio-psychology. If we believe that we can do something as a group, then we can make it happen. We need both [economics and socio-psychology], but I think there has been less attention paid to the other side, to the social side for the solution. FEME: Which changes would you like to see in our scientific community? Ingrid: The changes I’d like to see are already happening to some degree, and that it is to try to understand each other’s discipline better, to expose people in the natural sciences to principles from the social sciences and to use each other’s methods and tools. We don’t need to understand everything about the other sciences, just a little bit can help. It is just so we don’t stay with blinkers in our eyes, we open up a little bit and become more accepting of people’s views, because some views are formed just by being in one discipline. If you open your eyes to other disciplines you may have a new perspective. Not that people have to became generalists, some people are good generalists, some people are good specialists and we need both of those as well. I think it is the opening up of your mind to other things. And I also care about women being more involved in science and decision making, making it more possible for young women who want to have children and be out of the work for a little while to come back without starting over from the bottom. If women were more able to be continuously involved in decision power, I think the world might be a better place. If we can find some equality between men and women in all fields, if we can be more equal in the way we work, the way we understand each other this is also a big step for the world. If I have to pick two things then it would be those things for science [exposing people to different science approaches] and making it possible to accommodate young women’s needs in science better, so when you do a post doc you can do it part-time if you decide to have a baby, because that is the time of your life when you might have one. I think these are important issues.